Before you consider joining Freemasonry it is important that you fully understand what you are committing yourself to and what would be expected of you. The following is a very brief summary of Freemasonry in general and what you can expect and what is expected of you – should you wish to join. If you require any further information contact us and we will attempt to help you in your decision. Freemasonry is the world’s oldest fraternal organisation that teaches moral lessons and self-knowledge through allegory and symbolism. It offers it members an approach to life that embodies thoughtfulness for others, compassion and benevolence in the community, honesty in business, courtesy in society and fairness in all things. It is a common misunderstanding that you have to be invited to join Freemasonry. The correct procedure is, in fact, that you should apply to join. However before taking this step you need to satisfy yourself that it is indeed an organisation that you wish to belong to and that you have no misconceptions as to your expectations of Freemasonry. Freemasonry is not an organisation intended to give or create business or career advantages – on the contrary, on entry into Freemasonry a candidate is required to state unequivocally that he expects no material gain from his membership. This mistaken belief has led to many candidates being disappointed and resigning their membership after a relatively short period of time. There are however certain formal requirements that have to be met before you can apply to be initiated into Freemasonry. > The belief in a supreme being – irrespective of whether you are Christian, Muslim, Jewish, Hindu, Sikh or any other religion. > Completion of a written application form. Your application form will need to be signed by a proposer and seconded – both being members of our Masonic lodge – preferably members who have known you for a reasonable period of time and who can honestly vouch for your character and the above formal requirements. If you still wish to proceed, your application will be subject to a ballot among the lodge members - normally within a few months – after which you will be advised of the date on which your are to be initiated into Freemasonry. You may, at any stage before your initiation, withdraw your application. All your information, views and comments will be treated in the strictest confidence. A Freemason is expected to learn and show humility through initiation and advancement through the lodge. He is expected to progress through a series of degrees, gain insight into increasingly complex moral and philosophical concepts and accept a variety of challenges and responsibilities that are intended to be both mentally stimulating and rewarding. A Freemason is expected to participate in the dramatic presentation of moral lessons and in the workings of the lodge by learning these passages by heart. Since there is also a certain amount of administrative and ceremonial procedure involved in a lodge meeting, a Freemason may be elected to hold office in the lodge and to perform duties related to these positions. A Freemason is required to take various solemn oaths, binding on his conscience and his fidelity, not to disclose the secrets and mysteries of Freemasonry. These solemn promises concern their conduct in Lodge and in society. Each member also promises to keep confidential the traditional methods of proving that he is a Freemason which he would use when visiting a lodge where he is not known. 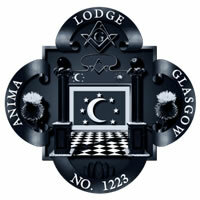 Freemasons do not swear allegiances to each other or to Freemasonry. Rather, they promise to support others in times of need, but only if that support does not conflict with their duties to God, the law, their family or with their responsibilities as a Citizen. A Freemason is expected to be charitable and, in our particular lodge, you will be expected to participate actively in our charitable events.